US First Lady Melania Trump renewed her campaign to tackle cyber bullying Monday, as her husband lit up the internet with a stream of invective against his perceived foes. Appearing at a health department building outside Washington, the Slovenia-born first lady urged tech companies to listen more to “children’s ideas and concerns” about online bullying. “Let’s face it: most children are more aware of the benefits and pitfalls of social media than some adults,” she said. Since coming to office Melania Trump has spoken relatively infrequently in public. She was treated at Walter Reed hospital on May 14 for what aides called a “benign” kidney condition and was released a few days later. Her signature “be best” campaign for public decorum has been largely overshadowed by her husband’s daily insults and public hectoring. 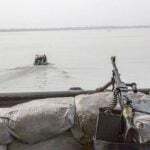 Pirates off Nigeria’s oil-rich south have stormed a small oil tanker, kidnapping six sailors, the International Maritime Bureau (IMB) said on Thursday, the latest in a string of such attacks. 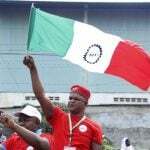 The Nigeria Labour Congress (NLC) has said it would ensure that the new minimum wage of N30,000 is implemented by all state governors. 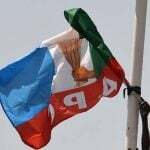 The Governorship and National Assembly Election Petitions Tribunal in Sokoto State on Thursday granted All Progressives Congress (APC) Governorship candidate, Ahmad Aliyu, leave to inspect used election materials. Manchester United’s Paul Pogba is the only non-Manchester City or Liverpool player to be named in the Professional Footballers’ Association’s Premier League team of the year on Thursday. 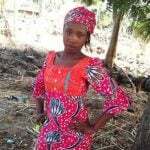 Catholic Bishop of Nnewi, Most Rev Hilary Okeke, has expressed hope on the apparent fading fate of the abducted Chibok and Dapchi school girls, in North East Nigeria. 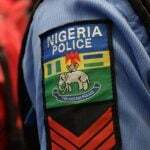 Suspected hoodlums on Saturday, allegedly killed a 65-year-old Chief Imam of Kwara Village, Kiyawa Local Government Area of Jigawa, the Police have confirmed. 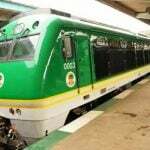 The Federal Government on Thursday said it would increase the number of trains plying the Abuja-Kaduna route to run a train per hour before the end of 2019. 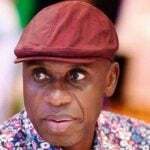 Minister of Transportation, Rotimi Amaechi, has warned operators of motorcycles popularly called Okada and Tricycles also known as Keke NAPEP to guide against the use of the means of easy transport for criminal activities, measures are already being put in place to check such criminal activities. World Cup winner Kylian Mbappe on Sunday dismissed rumours linking him to joining Spanish giants Real Madrid.